I was delighted to hear from author, Nathan Dylan Goodwin, a few weeks ago. Nathan offered to send me a review copy of the latest book in his Forensic Genealogist series, The Spyglass File. As I had enjoyed the earlier books in the series I responded with an enthusiastic "YES Please." My recent health problems have robbed me of the concentration needed to read books. I have started and not followed through with quite a few. This book was just the tonic I needed. With its cliffhanger chapter endings and twists and turns this tale kept me reading right up to the last page. That it was a genealogical mystery from World War 11 added to my interest. Having read earlier books in the series I have become quite fond of genealogist, Morton Farrier, whose character is further developed in this tale. Following the relationship of Morton and his long suffering fiance, Juliette, adds an extra dimension to this series. I enjoyed reading about the various real resources Morton used while researching Barbara Springett's ancestry and have added a few museums to my must visit list for my next trip to the UK. I was impressed that Morton used Ancestry DNA tests to confirm his traditional research. Of course Morton had more success in knocking down brickwalls than we ordinary genies have but The Spyglass File is a work of fiction. While not a masterpiece The Spyglass File is competently written and engaged this reader right up to the last words. It is a page turner that provides a few hours amusement - just what I needed. 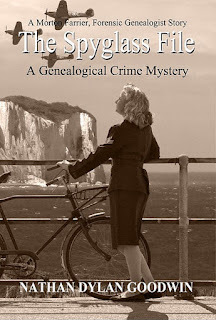 This is not just a book for those interested in genealogy I think that any reader who is fond of a good mystery would enjoy this book .... and, if you're into genealogy, you will definitely enjoy it. I hope that it's not long before I can read of Morton's next adventure. This book is available in print and ebook format - scroll to the bottom of this page for details. I've been reading on Facebook that many of my genimates will be heading to Sydney in March 2018 for the next Australasian Congress on Genealogy and Heraldry. We would love to hear presenters who haven't yet made the journey downunder. If you have been considering making the trek to the southern hemisphere March 2018 would be a perfect time.The following message from The Society of Australian Genealogists provides details. "You may already be aware that the Society of Australian Genealogists is hosting the next Australasian Congress on Genealogy and Heraldry in 2018. The Congress will be held at the International Convention Centre, Darling Harbour in Sydney, NSW Australia, from Friday 9 March 2018 to Monday 12 March 2018. The theme is Bridging The Past and Future. We are working hard to make this a great event for local historical and family history societies, including reducing the cost of exhibiting and running a stream of presentations targeting issues relevant to the management of societies. You may also wish to consider submitting a proposal to give a lecture or workshop. The Call for Speakers closes on 31 October 2016 and we’d love to hear from you. Further information and a link to the submission form can be obtained at www.congress2018.org.au and enquiries may be directed toinfo@Congress2018.org.au "
....when I thank my lucky stars for the life that I lead and make a small contribution to the lives of families in other parts of the world. As a member of the 'Genealogists for Families' Project on Kiva I just made two loans to borrowers in third world countries: one to a lady in Haiti and one to a lady on India. 'Genealogists for Families' members who come from all around the world believe that our small deeds can make a big difference to families who are less fortunate. Sitting beside me is a book I purchased on a recent holiday from The National Archives Bookshop in Kew, England. 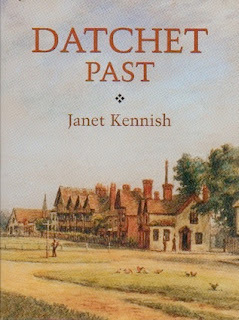 Datchet Past is one of those books that would only appeal to a very limited market but, as one of my convicts came from Datchet, I just had to buy this title that was on the sale table. The author, Janet Kennish, appears to be a local authority on Datchet history. Her name pops up whenever I try to do some Datchet research. I love local history books that give me information about the localities from which my ancestors came. I've been tweaking the blog layout this morning to accommodate a new badge that indicates my role as an Ambassador for Rootstech 2017. 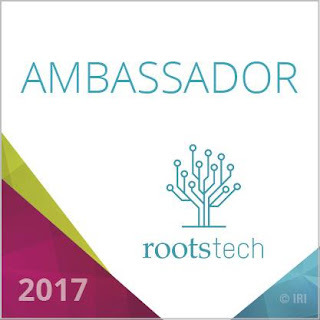 I was honoured to receive an invitation from the Rootstech organisers to once again join the team whose role is to create awareness and promote the event to our followers and community. My travel arrangements have been made and I am looking forward to joining my genimates in Salt Lake City for this celebration of family history. As registrations for the event have now opened my next task is to register. 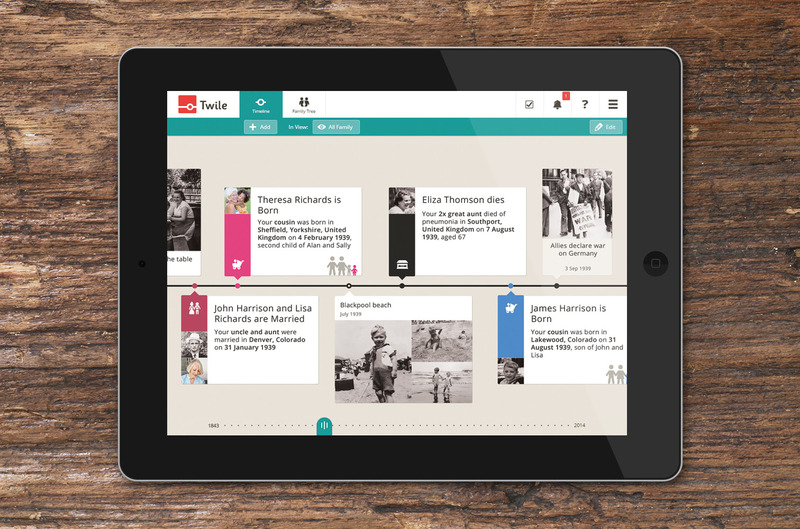 For further details and to complete your registration take a look at the new Rootstech website. When I travelled to the first Rootstech in 2011 I was rather nervous but I was warmly welcomed by those I met there. Over the years several Aussies have made the trek to Rootstech and quite a few like me have returned for another dose. If you have any questions about the event please contact me and I will be happy to answer them. When our first eleven grandchildren were born Mr GeniAus and I hotfooted it to the hospitals to meet them at our first opportunity. In one case we even arrived a couple of hours prior to a delivery. I shed quite a few tears last weekend when my son phoned to share the news of Amelia Anne's arrival. I desperately wanted to visit the hospital to meet and greet her but because of my recent surgery I wasn't well enough to do so. Although I hadn't yet met Amelia I entered her details into my family history database and admired the photos her proud Dad sent me. Her parents brought number twelve, Amelia Anne, home yesterday and for her first outing today popped around to have lunch with us. They made my day. More tears were shed as I cuddled this gorgeous little bundle of joy and then spent a couple of hours admiring her as she slept. Her proud grandparents are thrilled to add this pretty new leaf to our family tree. I was a winner in National Family History Month. Thanks to Ancestry.com and the NFHM Coordinator, Shauna Hicks for organising such a comprehensive list of prizes. 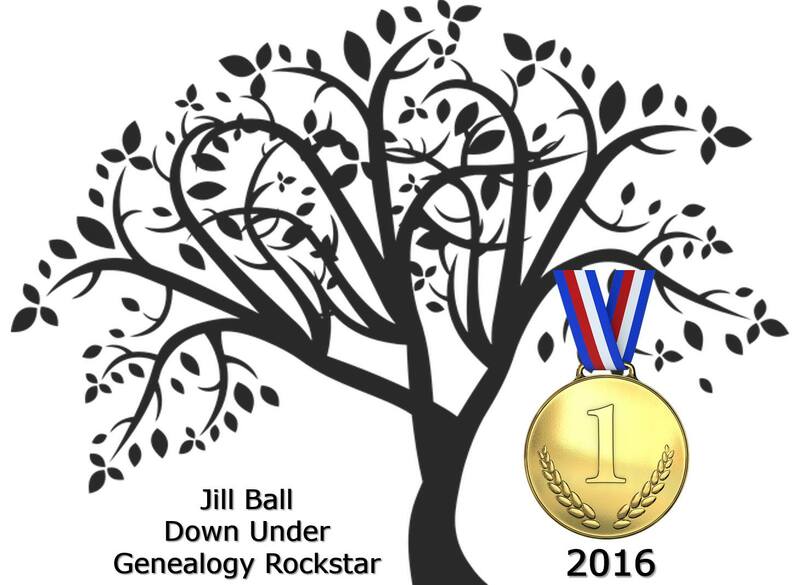 I don't know the identity of those who voted for me in the 2016 Rockstar Genealogist Awards but I thank you from the bottom of my heart. 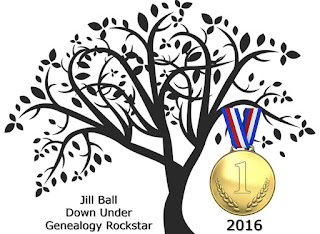 The results have just come in and I am thrilled, humbled and honoured to find my name among the list of International Genealogists as the Superstar Rockstar Genealogist (Gold) for Australia/New Zealand. The award is particularly sweet for me this year as I recently had a few health problems that necessitated a major operation and time away from geneactivities. This gong may provide the catalyst to drive me back into my geneacave. Thanks to John D Reid for organising this annual activity that promotes global genealogy.